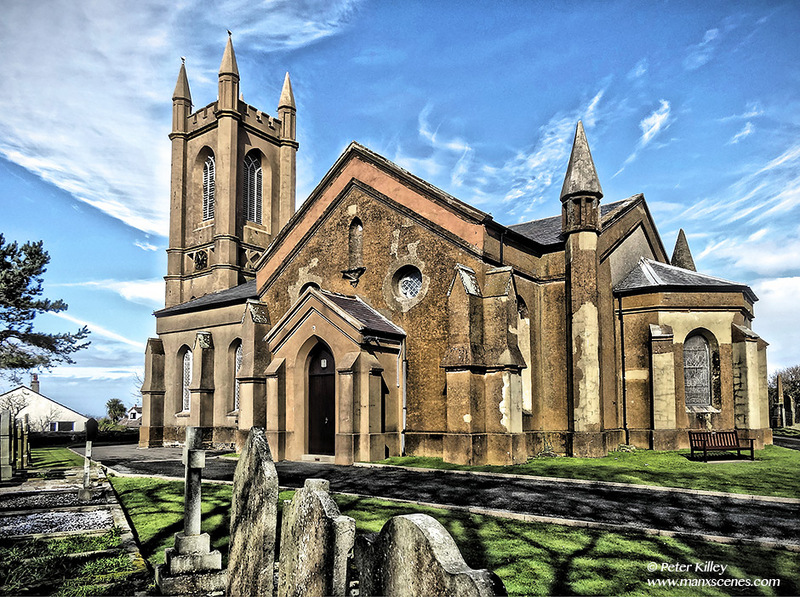 This church was built in 1835 (the former church dated from the 12th century) The building is of plain cruciform design and is built in brown stone with a large square tower. There are five Bishops buried in the graveyard, Bishops Wilson, Hildesley, Mason, Crigan and Duesbury. I actually went into the graveyard to have a look at these graves and I kid you not I was chased out by two sheep, one of which had long horns. ← The Village Pharmacy and the Post Office in Kirk Michael Village. chased out by sheep ! ! ! ! ! ? ? ? Well . . . you must be feeling slightly sheepish about this incident !